The Narendra Modi government has faced severe backlash over its proposed rules to police content on online platforms such as Facebook, WhatsApp, and Twitter. From intentional organisations to lobby groups representing multi-billion dollar corporates, the majority of around 150 respondents in a public consultation on the draft rules have opposed them. In fact, officials of the world’s most popular mobile chatting app, WhatsApp, have reportedly said they might consider exiting India – their largest market by user base – if the rules are implemented. However, India’s richest man would beg to differ. Mukesh Ambani-led Reliance Jio is gung ho about the Indian government’s proposal to monitor online content. In some cases, Jio wants the rules to be made even more restrictive. Among other things, Ambani’s telecom firm has suggested that instead of the 72-hour deadline for internet companies to comply with government requests for assistance, requests “be expedited and responded within 36 hours in specific cases”. One of the most dramatic suggestions made by Jio concerns a clause in the draft rules that says internet platforms must use technology based on automated tools to help identify and remove “unlawful” content. Instead of allowing platforms to decide how such content should be filtered, Jio suggests, “the government should elaborate and establish the specific guidelines for classification of content” that should be removed. This suggestion, if accepted, would grant the government even tighter control over platforms’ operations, and over Indians’ online speech. When a platform is “misused on a large scale to spread fake news designed to instigate people to commit (a) crime,” Jio suggests its operators should be charged with abetment. This is an austere warning that Modi’s government has made to internet platforms before. Fake news is a major concern in India, as false information circulated on social media platforms has even led to mob lynchings. With elections in the country expected around May this year, a deluge of disinformation is expected online. 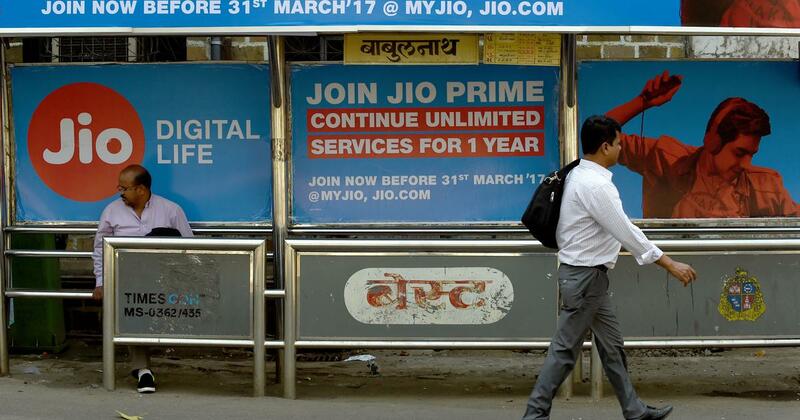 Jio’s recommendations for stricter rules seem to stem, in part, from its long-expressed desire that internet platforms in India be regulated as strictly as telcos. Jio’s is one of only a handful of submissions that is overwhelmingly positive towards the proposed amendments – a fact that seems to have put it at loggerheads even with ally organisations. The Cellular Operators Association of India, a trade body of telecom service providers, internet service providers, social media platforms, search engines, and e-commerce companies – some of whom qualify as platforms to be regulated under the draft rules – submitted highly critical comments to MeitY during the public consultation. Cellular Operators Association of India’s comments state that the draft rules are potentially unconstitutional, inconsistent, violative of privacy, and more. The 72-hour time limit to comply with state requests, Cellular Operators Association of India’s submission claims, is “unduly onerous”. Around 150 entities submitted comments providing detailed criticism of the rules, including international organisations like the Mozilla Foundation, Access Now, and Amnesty International; lobby groups like the US India Business Council and the Asia Internet Coalition, whose members include Google, Facebook, and Amazon; and trade bodies like Cellular Operators Association of India and the Internet and Mobile Association of . Many of these bodies suggest in their comments that the amendments violate user privacy by threatening to break end-to-end encryption, would potentially lead to self-censorship by internet platforms, and could even violate India’s constitution. Jio’s submissions are confused on matters of the Indian constitution, Sarvjeet Singh, executive director of the think tank the Centre for Communication governance, told Quartz. “They ignore constitutional jurisprudence starting from the 1950s and totally ignore Shreya Singhal” – a landmark Indian Supreme Court judgement about internet censorship. Apart from Jio, the proposed rules have also found support from a few other corners. “Intermediaries today make conscious decisions about their design to yield certain kinds of content; they closely study their users and enable microtarget advertisements at them or sell user data to others. They can leverage the knowledge they acquire about users to potentially influence their behaviour,” his submission reads. 21st Century Fox-owned television entertainment conglomerate Star India has praised the draft amendments as a much-needed curb on piracy and copyright violations, which it said indirectly raise platforms’ ad revenue. Current lack of regulation mandating platforms “to actively screen and remove infringing content is the lacuna that needs to be plugged with immediate effect before the illegal use of copyrighted content reaches uncontrollable proportions,” its submission reads. Amazon Web Services, cloud computing arm of the Seattle-based giant, and industry body IndiaTech supported the draft amendments, but sought to make them applicable only to social media platforms. “The proliferation of misinformation and fake news occurs over social media platforms, messaging services and other similar platforms where users can disseminate such information or content, and it is this class of intermediaries that must be regulated under the proposed amendments under the draft rules,” reads Amazon Web Services’ submission. “The ability to trace the ‘originator’ of information must aim to place responsibility on social media, messaging and content hosting platforms,” says the submission from IndiaTech, which counts Ola, Hike, MakeMyTrip, and Softbank among its members.